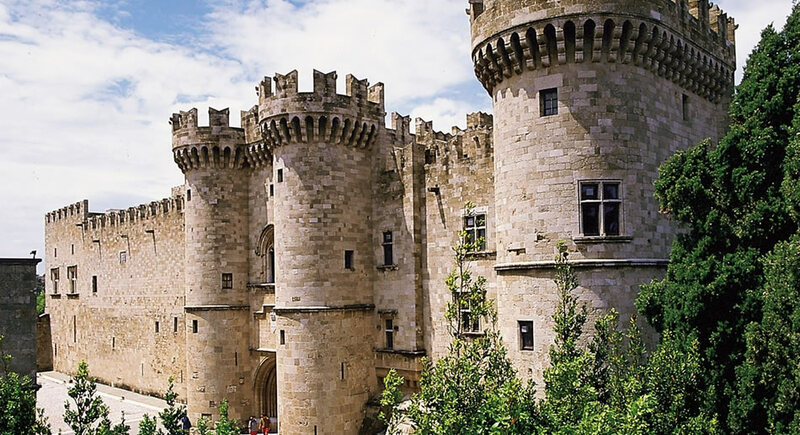 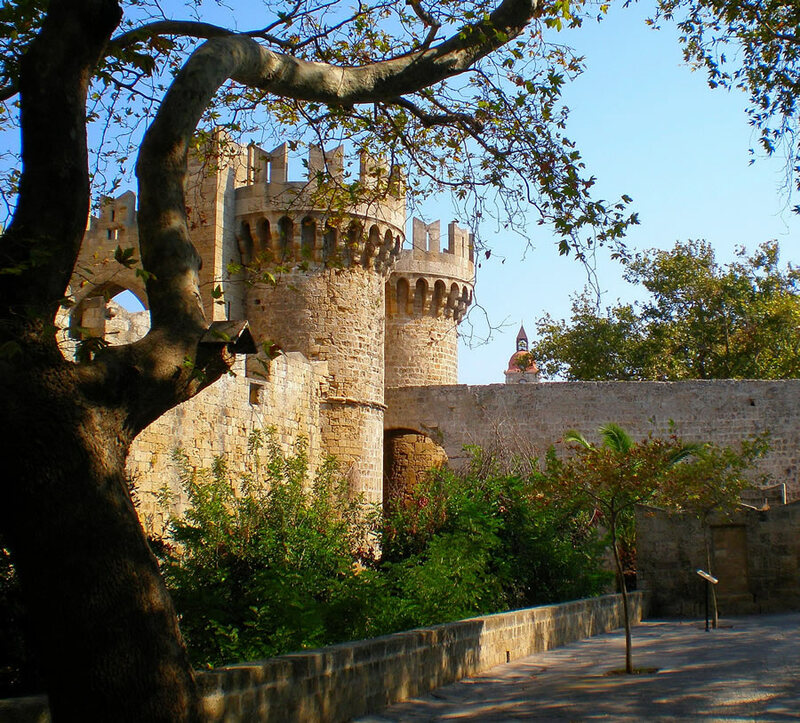 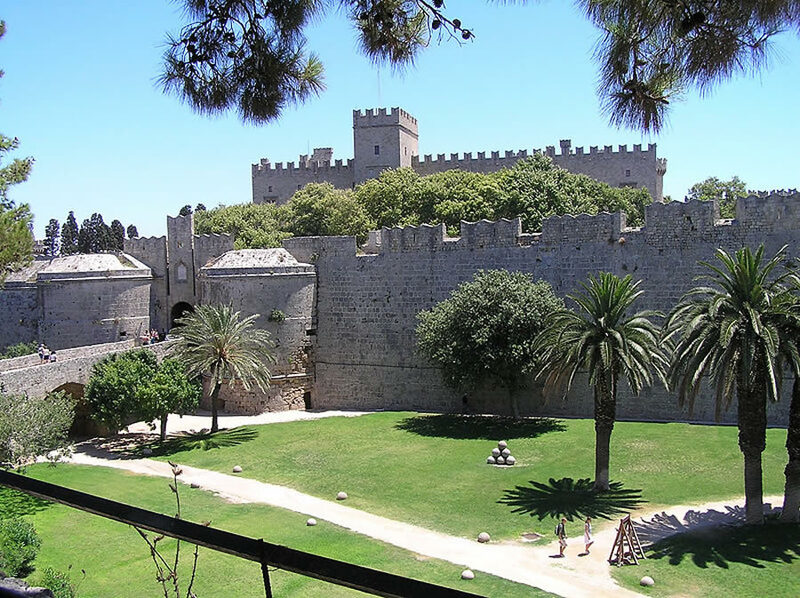 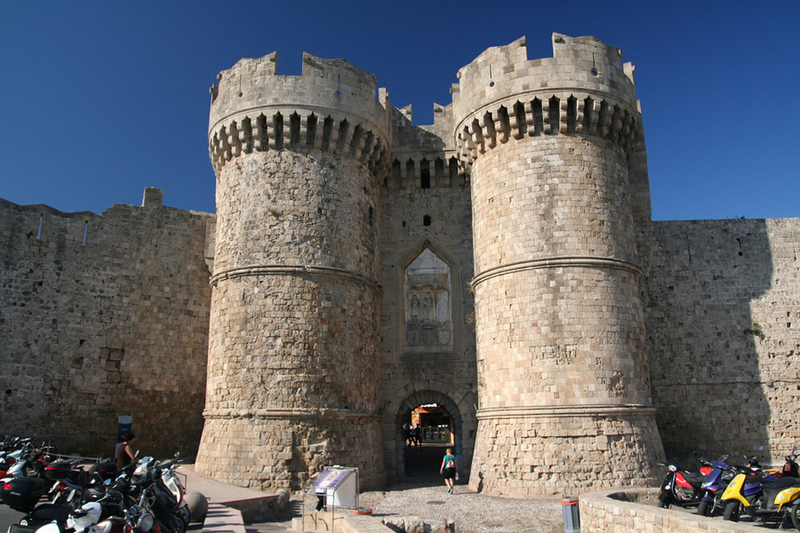 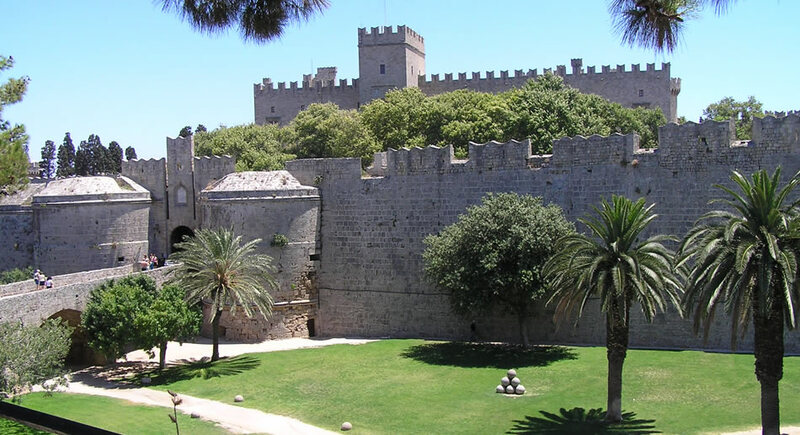 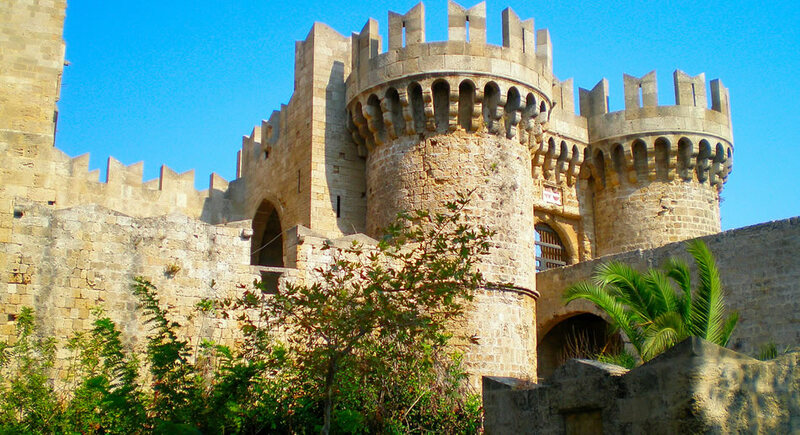 When you approach the walls of the Old Town of Rhodes, you are about to enter the oldest inhabited medieval town in Europe. 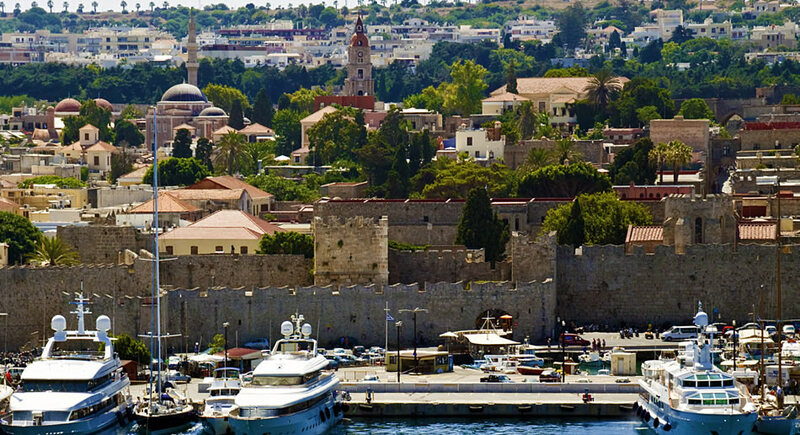 It's a thrill to behold. 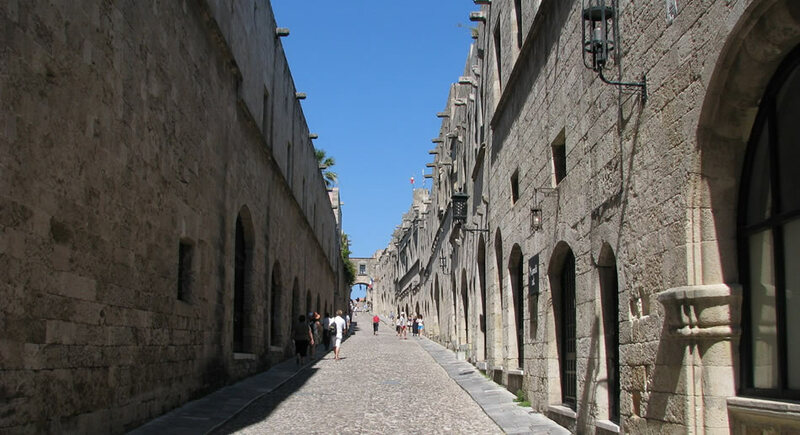 The old city is closed to automobile traffic though the occasional motorbike manages to get through and there are automobiles in some areas, though the narrow streets and cobblestones make the going slow and pedestrians are safe. 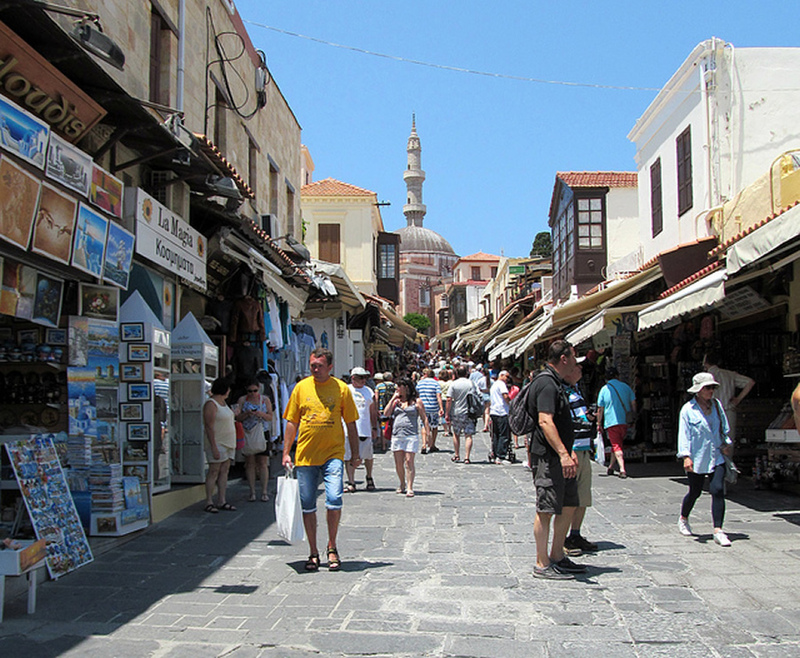 The main streets and thoroughfares are full of shops and restaurants but the back streets are mostly residences, where life goes on as if nothing is going on a few blocks away where giant cruise ships unload their passengers for a day of shopping and sightseeing.